South Africa’s Richards Bay Coal Terminal. 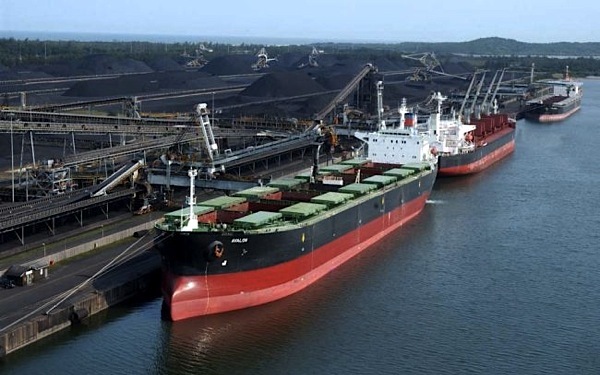 Coal exports from South Africa’s Richards Bay Coal Terminal (RBCT), the world’s No.1 single facility for the fuel, climbed up to a record-high in 2013, according to data posted by the firm Friday. The terminal shipped over 70 million metric tons last year, compared with 68.3 million tons in 2012, plus 70.42 million tons brought by rail, 2.8% more than in 2012. Eastern Asia —which includes countries such as China, Japan, South Korea and Taiwan— got almost 20 million tons of South African coal during 2013, or 28% of the annual volume. Europe was the second main destination for the country’s fuel. The continent imported 14.6 million tons (21%), with Western Europe alone receiving 9.1 million tons or 13% during the year. South Africa is the world’s seventh-largest coal producer, as ranked by the World Coal Association. The country’s sole power utility, state-owned Eskom Holdings SOC Ltd., is the main local consumer of coal, using the fuel to meet nearly 85% of its generation needs.